The app is a content creation app where students are able to create and express themselves, try new things, take risks and experiment. Students that cannot read, can still use this app successfully. There are some fabulous resources for teachers. When I first opened the app, I wasn't really sure what to do, there are many buttons and options. I wanted to let my students "tinker" with it but I also wanted it to be purposeful and not too frustrating. 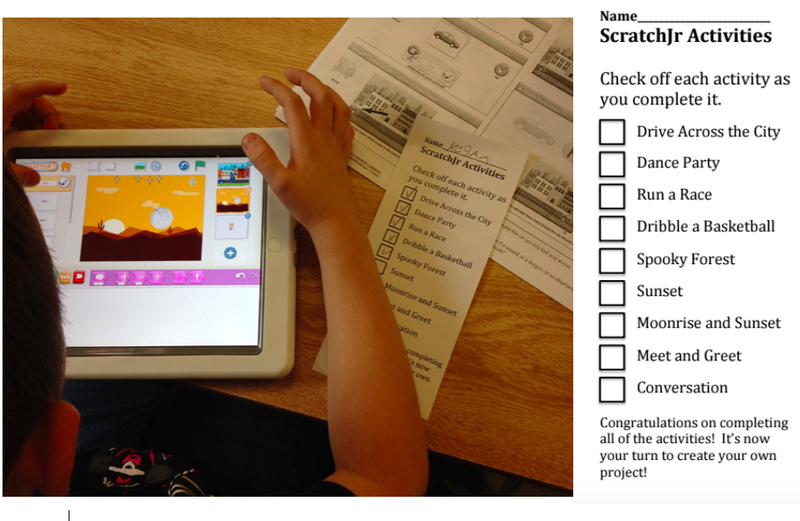 I went to the Scratch Jr. website and clicked on the activities tab. It brought me to an introductory video that I shared with my students and 9 different activity cards that could be printed out or shown on a screen in your classroom ranging in difficulty. I loved how even my struggling readers could follow the simple instructions and that at the end of each task card was two challenges to try. 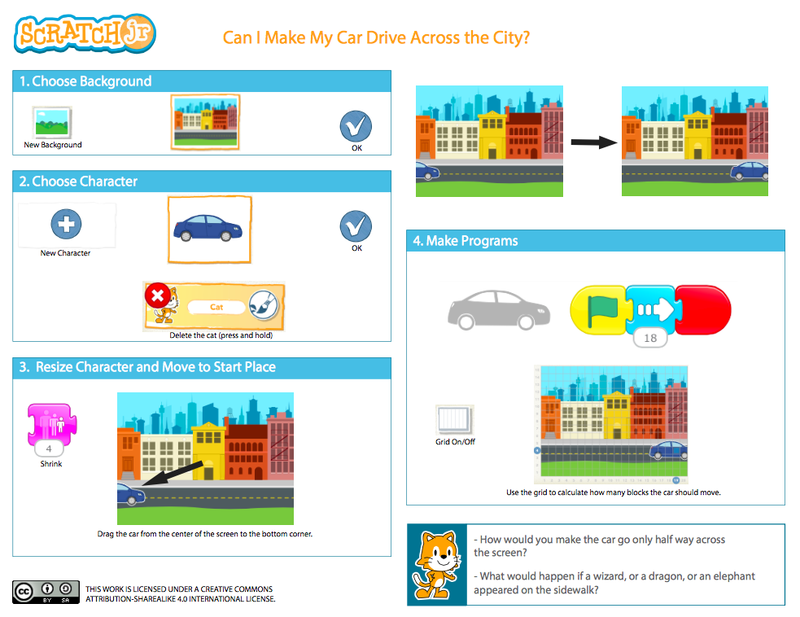 Each of the nine activities demonstrates a different skill or action that children can do to create a program. I decided that I wanted my students to go through the nine task cards so they had a solid foundation of how to use the app and all of the options that were provided. I printed out all nine activity cards and created a checklist for my students to keep track of the activities they had completed. My students were so excited for this activity. We worked on the activities for about forty minutes. Most students got two or three of the activity sheets done. We worked on the activities again today and my students are so excited to see all of the different things they can do with this app. They are already asking me when we are going to continue with the activities. I have other students that can't wait to code stories they have written during writer's workshop. I was thinking of eventually using the app to code number stories that the children have written in math. Instead of just reading their number story, they could code it! There are so many possibilities with this app, I can't wait to see what my students come up with! It was our second lesson on coding without a computer. If you would like to see our first lesson check it out here. 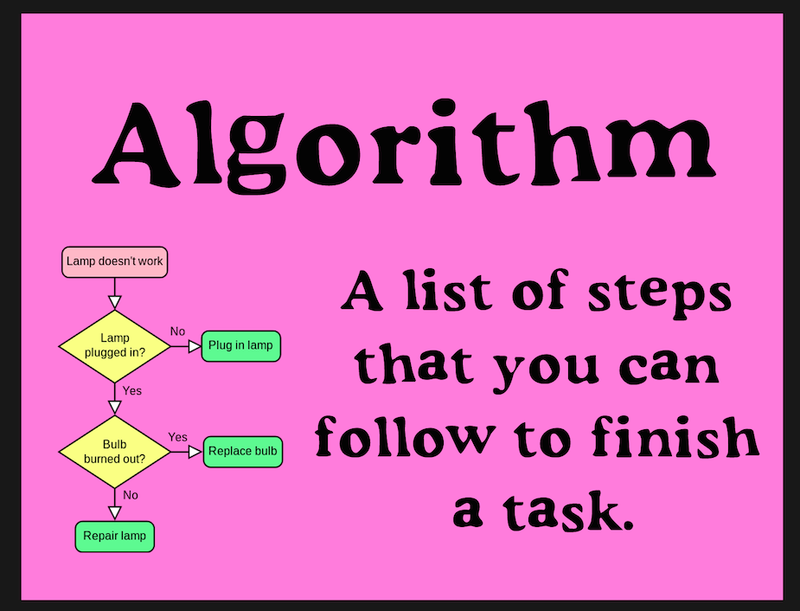 We were then going to test the algorithm to see if the program ran the way we intended it too and if it didn’t, we would debug the algorithm. We started very easy with only having to write a few lines of code to get the whale where we wanted it to go. I then added little math counters as obstacles so it wouldn’t be a straight shot from point A to point B. After doing this activity several times together, it was time for them to try it on their own. We placed the whale on the carpet and then I placed a pink sticky note to where I wanted the whale to end up. I also added the math manipulatives as roadblocks that the whale would have to maneuver around. Like most programmers, my students’ first attempts were not completely successful. This is when I introduced the word “debugging”. The kids loved coming up to the carpet with their lines of code and trying out what they had written. Out of 15 tries, we did not have a single student get it completely correct the first try. 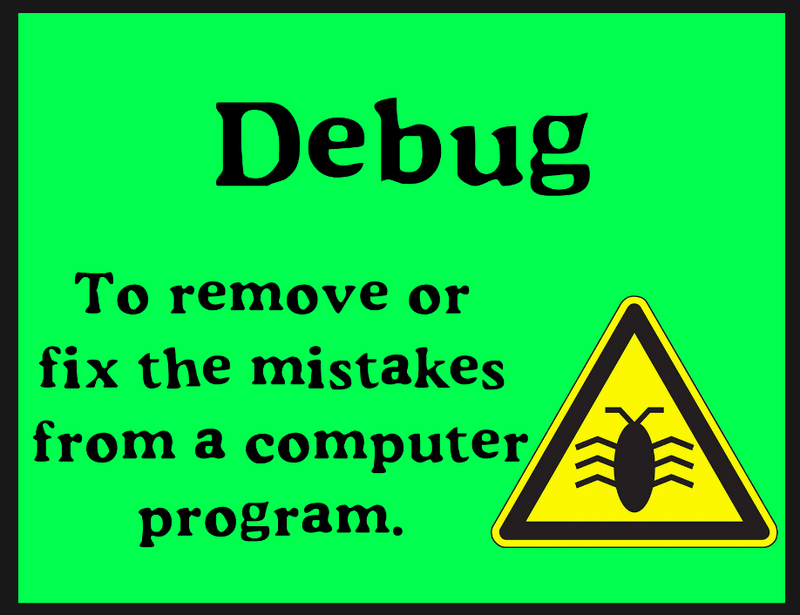 It was music to my ears when each child tried their code and realized that it was incorrect and replied with, “I need to go debug my code and try again.” This activity was challenging enough that my students had to debug their program, but not too challenging that they couldn’t debug it themselves. My students learned key skills today in writing and debugging code without a computer or device. Students worked on problem solving, independent work and resilience. My students also felt a sense of accomplishment and satisfaction when they figured out how to get the whale to the pink sticky note. 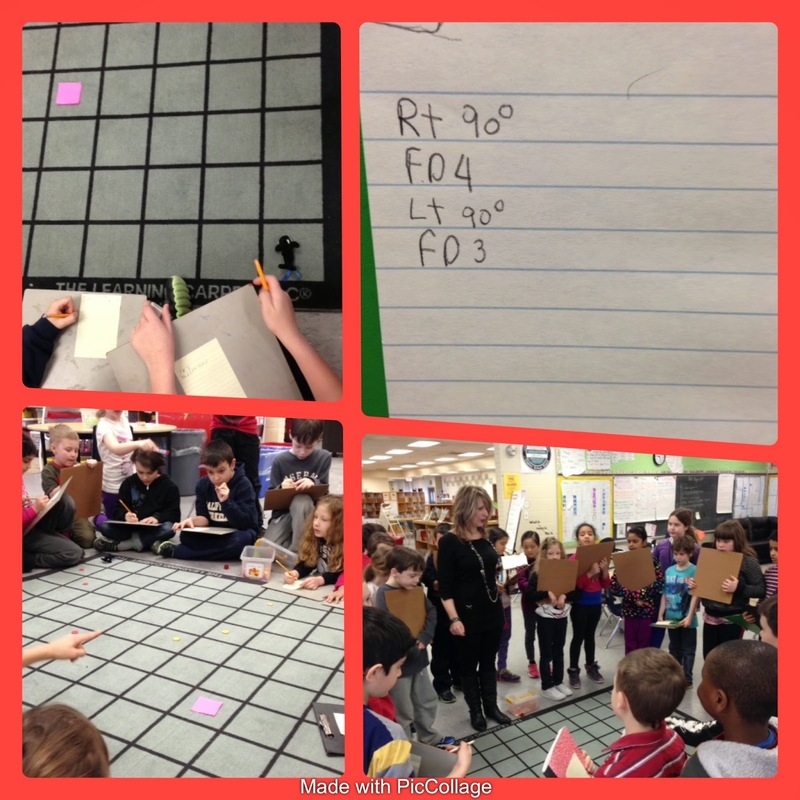 When the period came to an end, there was a lot of moaning and asking, “When are we going to play this again?” Little did they know that they were learning key skills in problem solving, directional language and being able to describe movement from one location to another using a grid map, which are all math curriculum expectations.